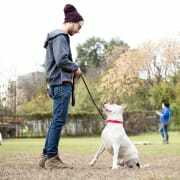 Thursday Evening Dog Walkers Needed! We are currently recruiting volunteers for Thursday Evenings that can commit to volunteering 2 hours each week, between 5pm-9pm on a Monday for at least 6 months. *We are unable to offer community service hours at this time. 2 hours a week, between 5pm-9pm.